Posted on 03/15/2018 Do You Need to Hire a Lawyer for Your Florida Motorcycle Crash? Broken bones; usually the wrists, hands and arms. Always use your mirrors. Be sure to check your mirrors often. Knowing when other drivers are approaching you from behind will give you more time to avoid them if they don’t seem like they are going to stop soon enough. Always use your turn signals. Using your turn signals will allow the drivers behind you to know what you are going to do next. Slow down when coming to a stop sign, traffic light or intersection. Slowing down sooner will help attract the attention of the drivers behind you. Always check to make sure your brake lights are working before getting on your bike. Don’t tailgate. 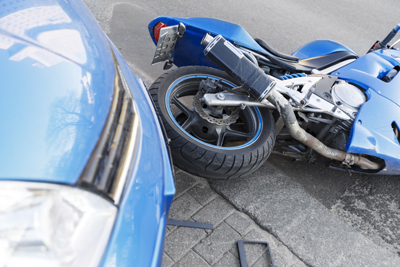 Always keep a safe distance between your motorcycle and the vehicle in front of you. If the car in front of you suddenly stops and you are following too closely, you will then have to brake quickly. This could result in the driver behind you to rear-end you. Avoid tailgaters. Be sure to check your mirrors for tailgaters. If you feel someone is following to close, safely switch lanes or pull over to let the vehicle go by. Leave a buffer of space in front of you when stopped at an intersection. Leaving plenty of space between you and the vehicle in front of you will give you more time to move out of a dangerous situation if the vehicle behind you is coming too close. When coming to a stop, position your bike to the left or right side of the lane. This will allow you to quickly move to the next lane if the car behind you is approaching rapidly. Wear brightly colored clothing. Motorcycles are hard to see even during the day. Make yourself as visible as possible.